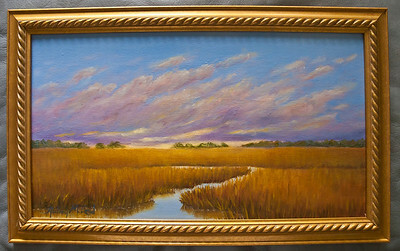 AUDREY MCLEOD AUDREY MCLEOD - BIOGRAPHY Audrey McLeod has lived in the 'Lowcountry' of South Carolina all her life. 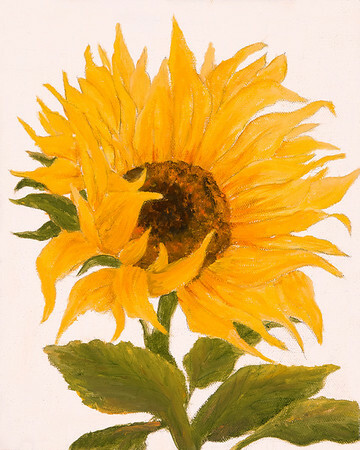 Even as a child she would be found drawing or painting and 'making Art' in various ways. After high school she was accepted into an art school but went on to college, majoring in business and worked in the insurance industry for 30 years. She now lives with her husband near Black River in Georgetown County. 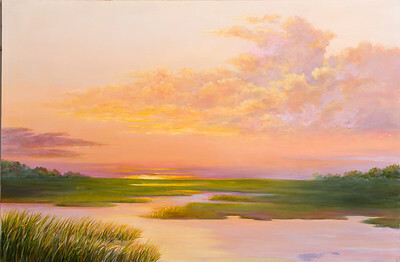 Even during these working years, she continued to paint, taking workshops and studying with many prominent artists in the Carolinas and Georgia. Building on these lessons learned and encouraged by many friends, collectors, and instructors, she continues to pursue her art. Instructors have told her to 'paint what you know and paint what you love'. So, the scenes she creates focuses on color and light. 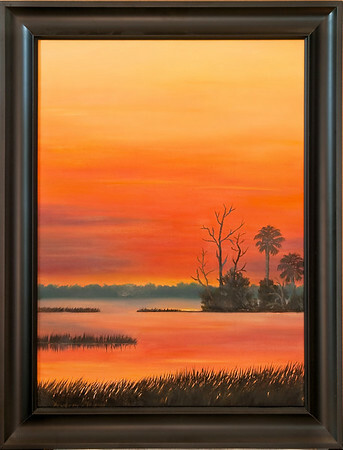 The scenes vary and may be those of coastal landscapes and trees, local wildlife or flowers and gardens. The subjects she chooses would depend on what inspires her at a particular moment. 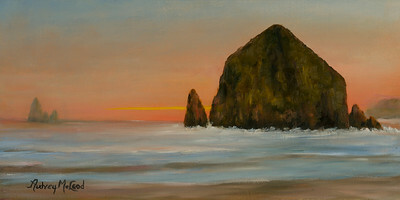 She feels her role as an artist is to see the beauty of our world and to depict it in a way that those seeing her work, could feel what she felt at that time. 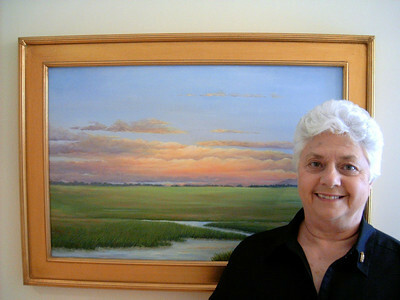 Painting primarily in Oils and her work can be found in businesses and homes throughout the country. 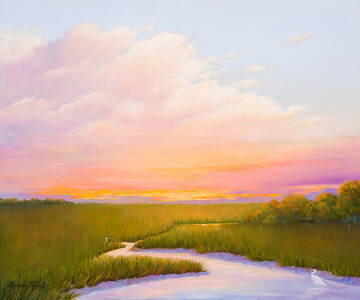 Currently she shows her work at the Georgetown Art Gallery in Georgetown SC, Sunset River Marketplace in Calabash NC, the Asheville Executive Center in Asheville NC and at the Keepsakes shop at Brookgreen Gardens as well as several other local venues. 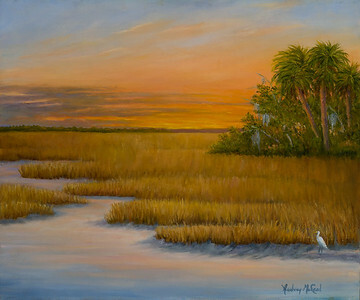 Her work can also be seen at the new Seacoast Artists Gallery at The Market Common in Myrtle Beach, SC. 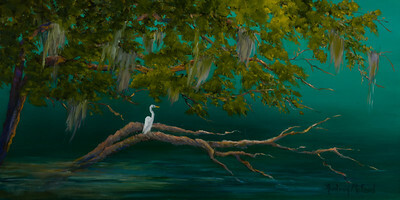 Her work is on display at several State Parks in South Carolina as she was accepted into the Artists in Residence Program several times in the past. 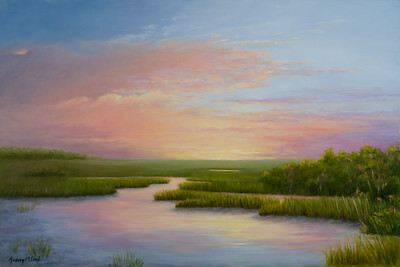 She has been juried into and received recognition in many regional shows and exhibits and is a member of Secoast Artists Guild, Murrells Inlet SC. The inspiration for my art is from my past experiences and personal interests as well as my love for the world around me. The landscapes of our area are beautiful and are endless subjects that show the wonder of nature God has given us here in South Carolina. 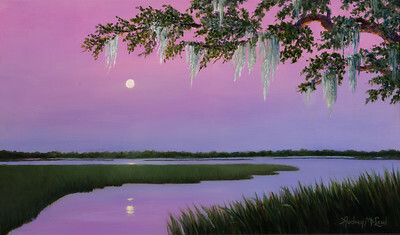 Audrey McLeod has lived in the 'Lowcountry' of South Carolina all her life. Even as a child she would be found drawing or painting and 'making Art' in various ways. After high school she was accepted into an art school but went on to college, majoring in business and worked in the insurance industry for 30 years. She now lives with her husband near Black River in Georgetown County. 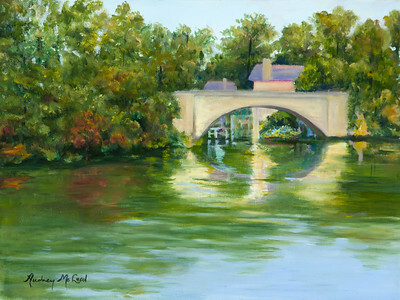 Even during these working years, she continued to paint, taking workshops and studying with many prominent artists in the Carolinas and Georgia. Building on these lessons learned and encouraged by many friends, collectors, and instructors, she continues to pursue her art. Instructors have told her to 'paint what you know and paint what you love'. So, the scenes she creates focuses on color and light. 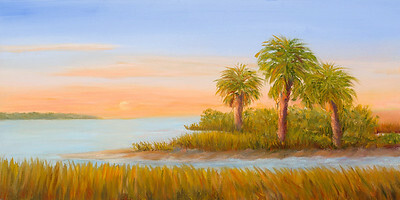 The scenes vary and may be those of coastal landscapes and trees, local wildlife or flowers and gardens. The subjects she chooses would depend on what inspires her at a particular moment. 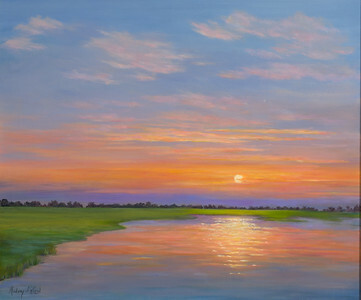 She feels her role as an artist is to see the beauty of our world and to depict it in a way that those seeing her work, could feel what she felt at that time. 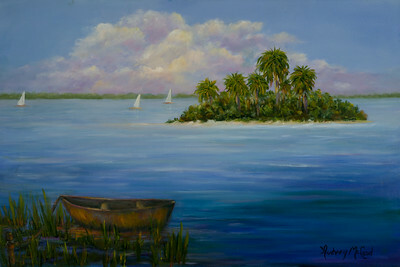 Painting primarily in Oils and her work can be found in businesses and homes throughout the country. 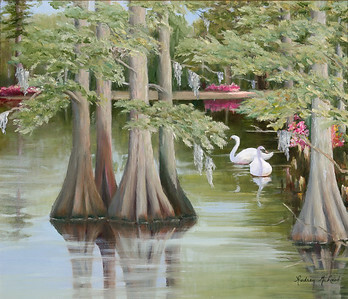 Currently she shows her work at the Georgetown Art Gallery in Georgetown SC, Sunset River Marketplace in Calabash NC, the Asheville Executive Center in Asheville NC and at the Keepsakes shop at Brookgreen Gardens as well as several other local venues. 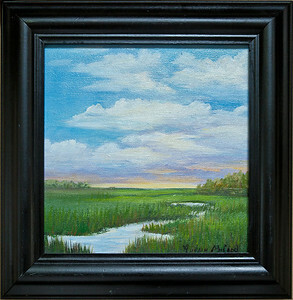 Her work can also be seen at the new Seacoast Artists Gallery at The Market Common in Myrtle Beach, SC. 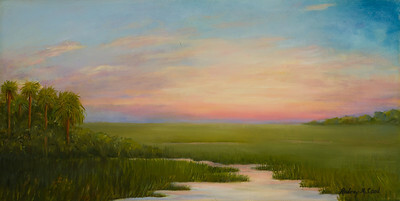 Her work is on display at several State Parks in South Carolina as she was accepted into the Artists in Residence Program several times in the past. 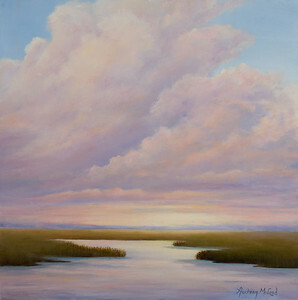 She has been juried into and received recognition in many regional shows and exhibits and is a member of Secoast Artists Guild, Murrells Inlet SC. The inspiration for my art is from my past experiences and personal interests as well as my love for the world around me. The landscapes of our area are beautiful and are endless subjects that show the wonder of nature God has given us here in South Carolina.